We are happy to announce that Lt. Jimmy Marciel was selected as the Pearl Fire Department Firefighter of the Month. Jimmy began working at the fire department in March 2012. He has accumulated nearly 1000 training hours at the Ms State Fire Academy and is also a Nationally registered EMT. Jimmy graduated from Crystal Springs Christian Academy in 2002 and began working in the construction industry where he worked until he came to work at the Fire Department. Jimmy is a very talented electrician and owns Marciel Electric where he works when he’s not on duty at the fire department. He is a very dedicated employee and has used his talents and skills to assist with many projects at the fire department which has saved the city a lot of money. Jimmy works at Station One on A Shift. 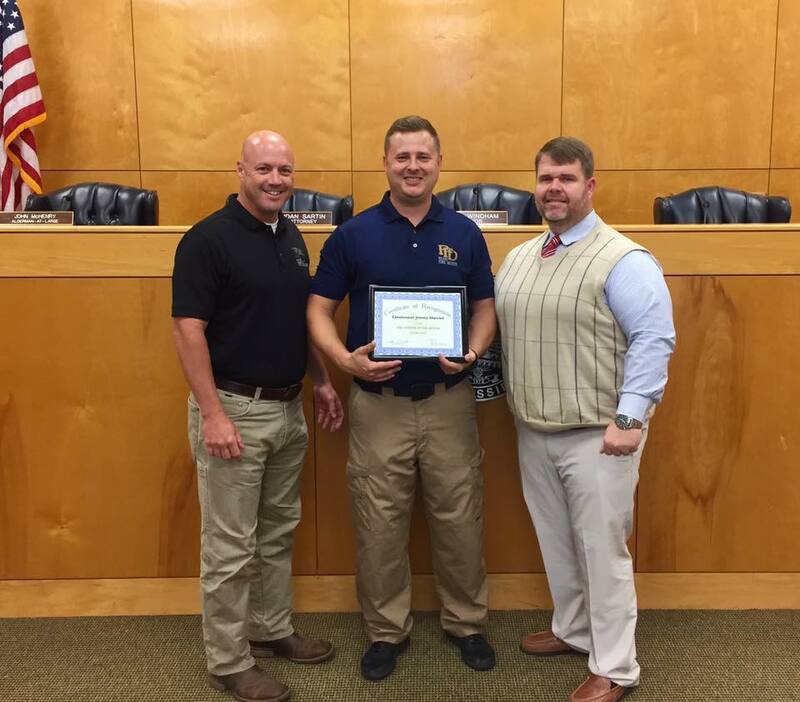 The Pearl Chamber of Commerce presented Lt. Marciel with a framed certificate, a $100 Bass Pro Shops Gift Card, a Cracker Barrel Gift Basket with a certificate for a meal for two and a Fit Bit wristband. Justin D NullRiverside Insurance Agency donated a $30 Walmart gift card; Jose's Mexican Restaurant donated a $25 gift certificate; Great American Cookies donated a chocolate chip cookie cake; The Pearl Municipal Credit Union donated a $25 VISA Gift Card; Eclipse Nutrition donated a $25 gift certificate and Revell Ace Hardware-Pearl donated a stainless steel tumbler.